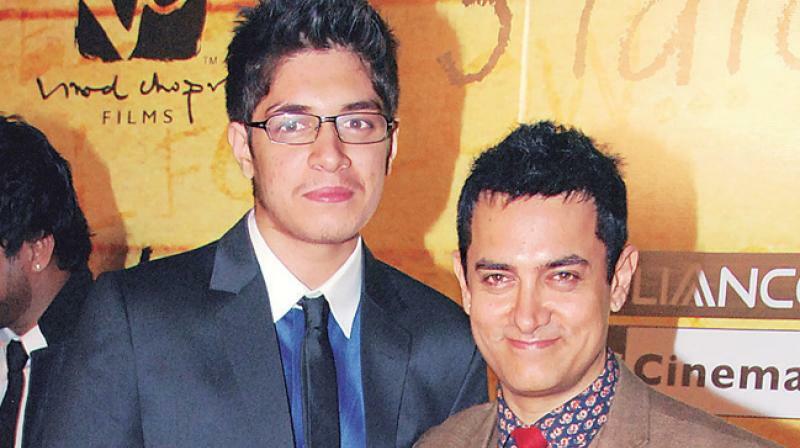 Aamir khan is trying to get his son entered into showbiz. According to the news circulated in the media nowadays, Bollywood’s super star Aamir Khan is trying to get his elder son, Junaid,entered in Bollywood.People are offering their positive or negative comments on this event. 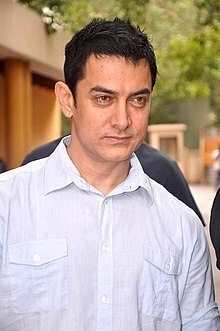 A question is being raised that whether it is morally correct for Aamir Khan to support his son for his entry and advancement in this filed on the basis of Aamir Khan’s own reputation and identity, giving an edge to him over other candidates..
Actually there are two opinions in reply to this question. According to one point of view every person who wishes to enter any field should be given an equal chance with others willing people. But it should be on candidate’s own merit basis. No one should get any advantage or enjoy an edge over others, on the basis of identity or reputation of his father or any other elder. This formula should be adopted for all jobs. So that every person in the society acquires equal chance for advancement in the career. In other words all players should be provided with level pitch to play and not without any favor to anyone. Accordingly, Aamir should not give any favor to his son. Whereas another point of view do exist over this issue. With this other view, commonly,elders train their children or other youngsters for a field and help them to move forward in the life. Usually it is done in all fields. In politics, we see so many such examples where fathers bring their sons forward to contest elections or promote them in any other way. It is also criticize by some quarters. However it is not only in politics but also in other fields. A motor mechanic trains his youngsters in his own field, a cloth merchant too, is willing that his young ones adopt his cloth trading field. A moral justification to give support to sons or other young ones by their elders, do exist which is based on medical science. According to it, every son or other blood relative has an inherited talent and abilities of his or her ancestors. A son of a loin, or any other living creature, can do all that which its father used to do because it has not only similar trend but also abilities to do them practically. Same is the case of the human being. This is why the effort of Aamir Khan should be analyzed, with both points of view.